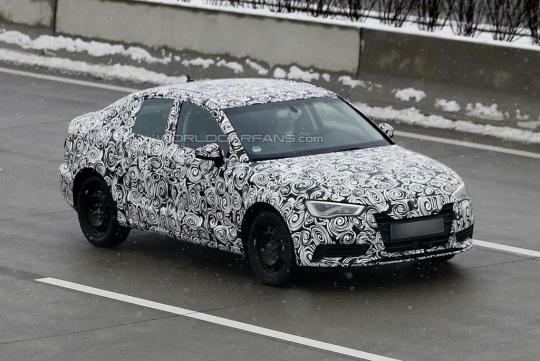 Images of the 2014 Audi A3 sedan has been captured for the first time during its outdoor testing in Europe. The test car is covered up in black and white body decal but we can still make out the general shape of the car. As a direct competitor to the recently-launched Mercedes CLA, the styling of the production model follows closely to the concept that made its debut nearly two years ago at the 2011 Geneva Motor Show. 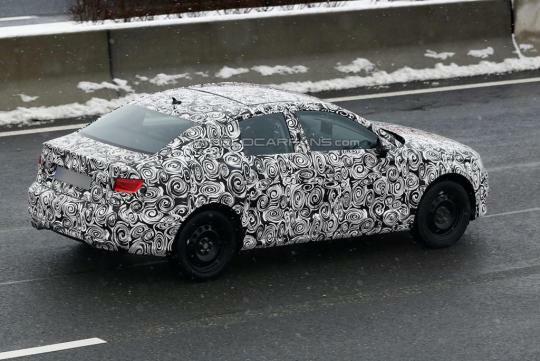 The 2013 A3 sedan is expected to measure about 4.44m (L) x 1.84m (B) wide x 1.39m (H). 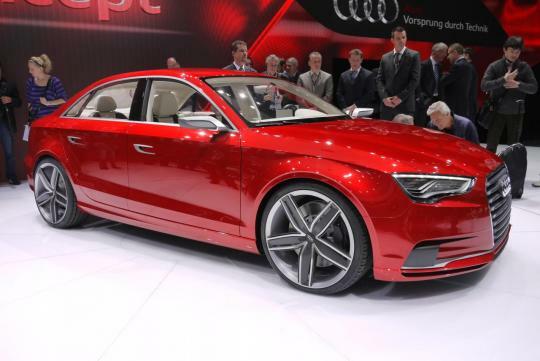 This means Audi�s offering will be smaller in size than the more dramatically-shaped Mercedes CLA.  Like the CLA, the A3 sedan is based on its hatchback version which is built upon VW Group�s MQB platform. Engine options are expected to be similar to the latest A3 hatchback, which includes a range of petrol TSI engines with capacity ranging from 1.4-litres to 2.0-litres and diesel TDI engines with 1.6-litre or 2.0-litre capacity.